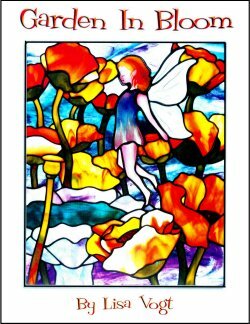 Sunshine Glassworks has teamed up with Stained Glass Images to bring you a selection of great pattern books ...all are now nicely discounted off the original published price. 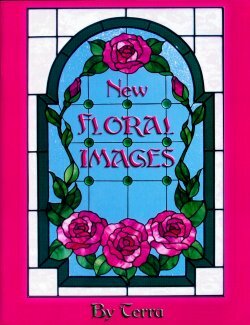 A Variety of 50 designs including "Smell the Roses", "For Nature Lovers", "Kid Stuff', "Nostalgia & Romance", "With Men in Mind" and "A Bird in Hand". 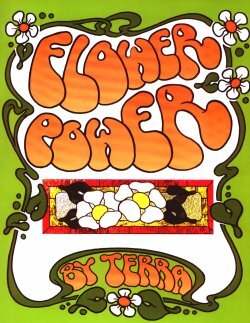 The continuation of Terra's original series of designs for stepping stones and tabletops. It includes 10 full-size patterns that may be adapted for use in 14" round, 16" square, or 16" hexagonal molds. For more options, some patterns have borders which can be used on any of the other designs. Terra suggests mixing and matching to create one's own unique combination. 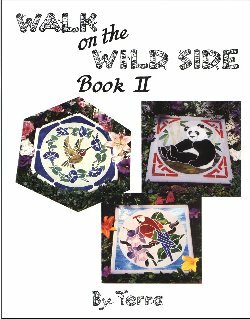 The patterns include a panda, horse, wood duck, turtle, squirrel and more. Bridge the generation gap with big, bold beautiful floral designs from Victoria Times through the Psychedelic 60's and into the New Millenium! 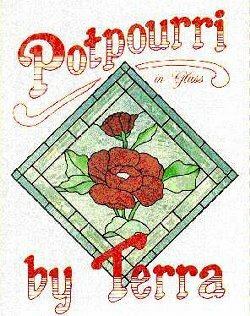 Terra presents eight full-size patterns, including two rose designs, a hibiscus, iris, pansy, tulips, hydrangea and floral wreath. 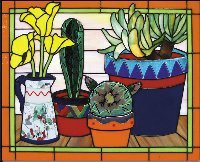 Sizes range from 16" x 20" to 20" x 30" in various shapes.